With the expanding of the international influence of Dingli’s dryer, the organic fertilizer production line of Dingli which has good reputation has got more and more attention in the international market. 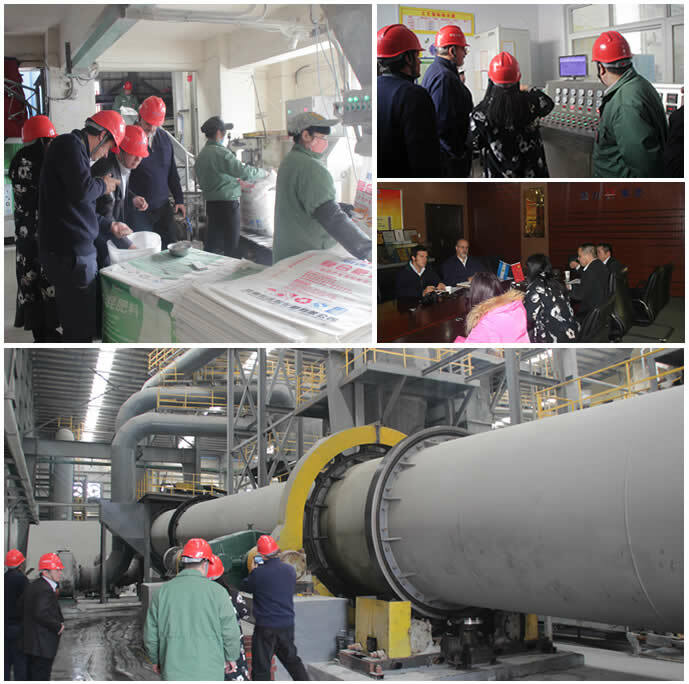 Recently, the organic fertilizer production line of Dingli attracted the international customer to visit and inspect. This time, the Argentine customer came to our school for inspecting the 150000 tons per year organic fertilizer production line, our company’s leaders received them passionately. Zhengzhou Dingli has cooperated with many foreign customers on the project of organic fertilizer production line, which promoted the economic development in local and most of the production lines have became the local benchmark cases and high quality equipment are talked by the people in the industry. The Argentine customer is takes a fancy to the advanced technology of our company. On February 25, 2016, after the argentine customer arrived, our company’s leader led them to the workshop. Wei Manager introduced the technology, structure and cases of the equipment of our company to the customer. After visiting the workshop, the customer watched the videos of cases. In the afternoon, the customer went to Jiaozuo for field trips accompanied by Wei Manager. The customer is satisfied with the organic fertilizer production line and the finished products and hoped the further cooperation of the both sides on this project. Finally, the both sides reached the strategic cooperation intention after negotiating the details of the project cooperation. With the accelerating of the global economic development, the organic fertilizer production line of our company is trusted by many customers. Our company will master all linked ,such as the production, sales and services of the product; insist to produce high quality products; provide perfect services to meet customers’ needs and create brilliant with more customers.